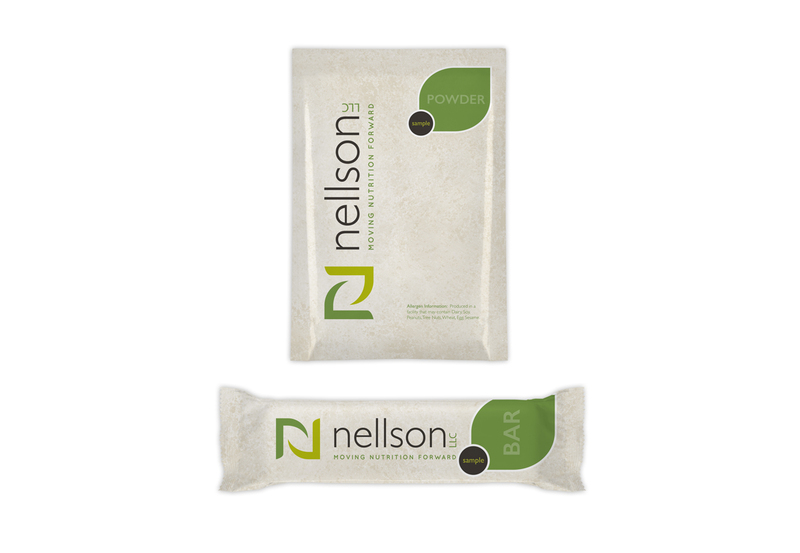 Nellson is the only full-service bar and powder nutrition provider in North America. 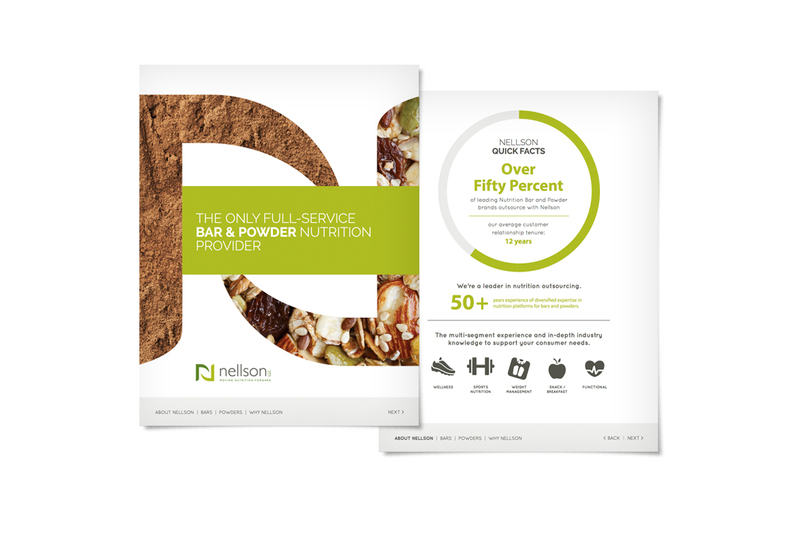 The leader in nutritional outsourcing, Nellson offers its co-manufacturing partner a level of commitment that can only be described as brand stewardship. 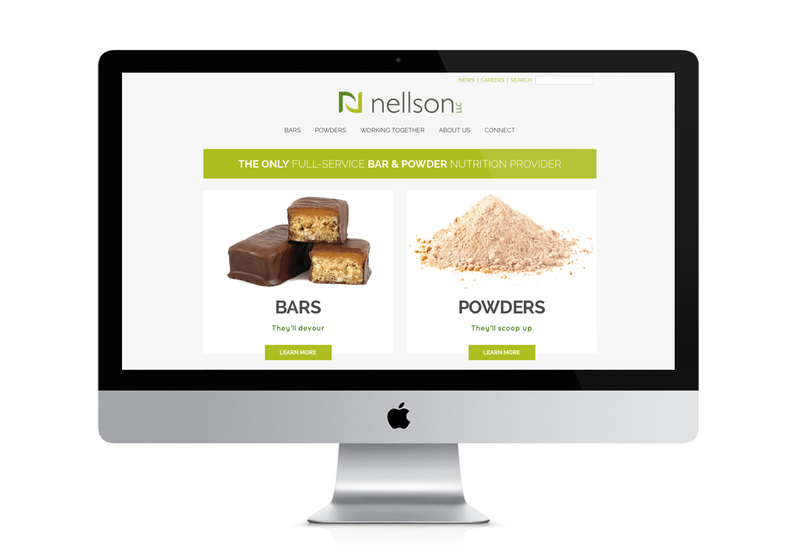 A complete suite of capabilities in both bars & powders and a bi-coastal footprint offers Nellson customers unique opportunities. 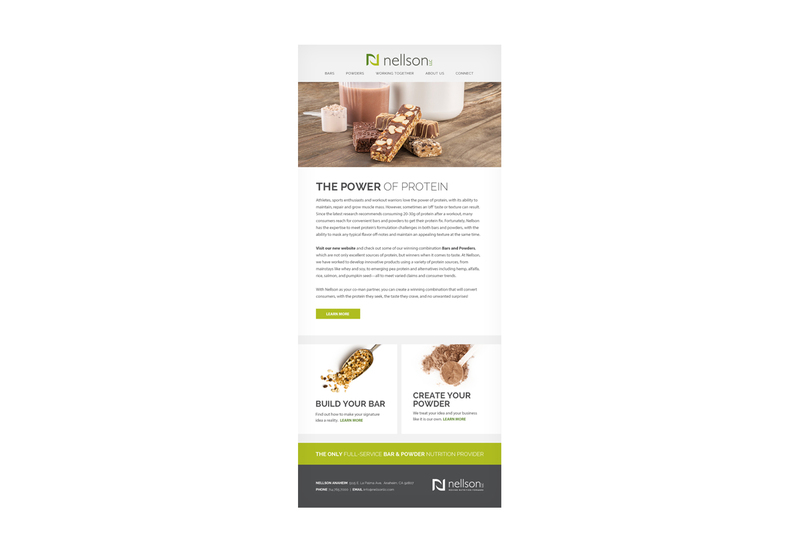 With new company-wide innovations in store, Nellson had the foresight to seek a strategic marketing partner to optimize their results. 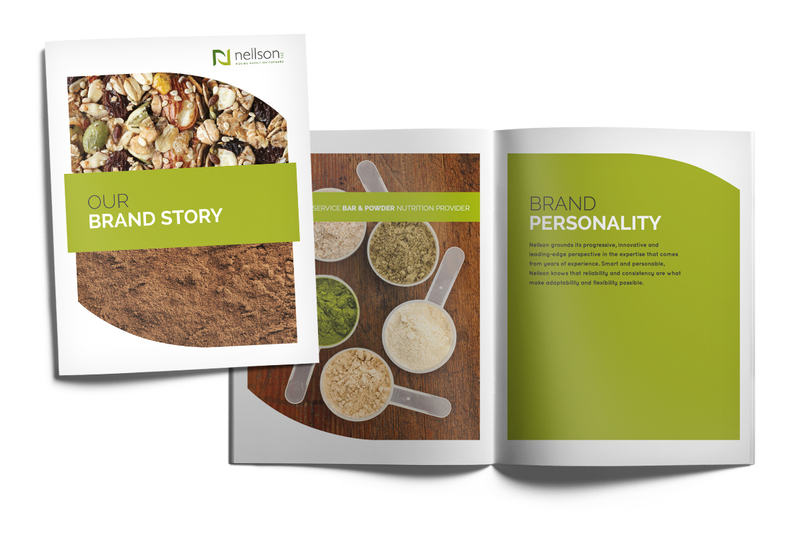 Together, ColinKurtis and Nellson have created an effective strategic marketing plan that includes a re-stage of their business brand, complete with a new logo and tagline, brand story & collateral, and an engaging new website. 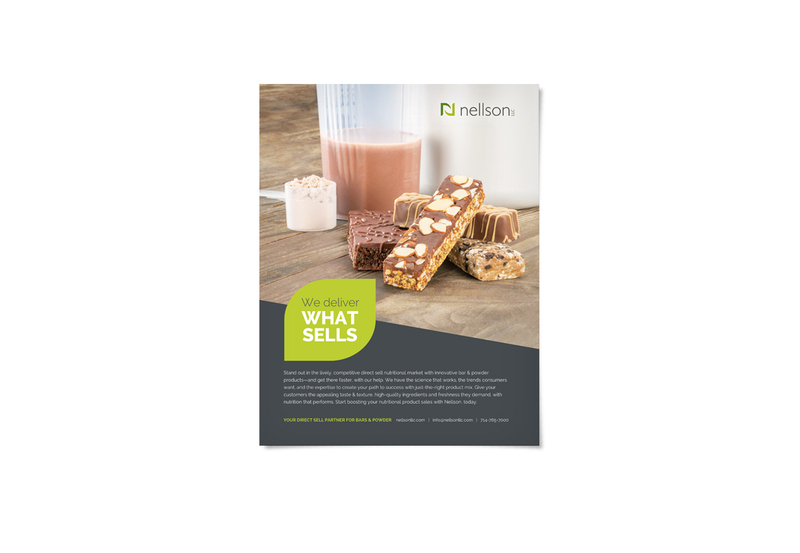 All of the resulting elements have been working together to highlight Nellson’s capabilities, commitment and thought leadership in the nutrition industry, and further establish them as the leading co-manufacturing partner with the ability to move nutrition forward, every day.